Divide up a large room with a Free Standing Room Divider. These are built using a Melamine/Paintable Veneer. All 3/4″ material. The “L” shape when anchored to the floor is self supportive and the wing is anchored to the floor and wall. This was designed to be a bedroom for an adolescent boy. It includes Chrome Oval Hanging Rods and drawers using 100lb full extension ball bearing slides. 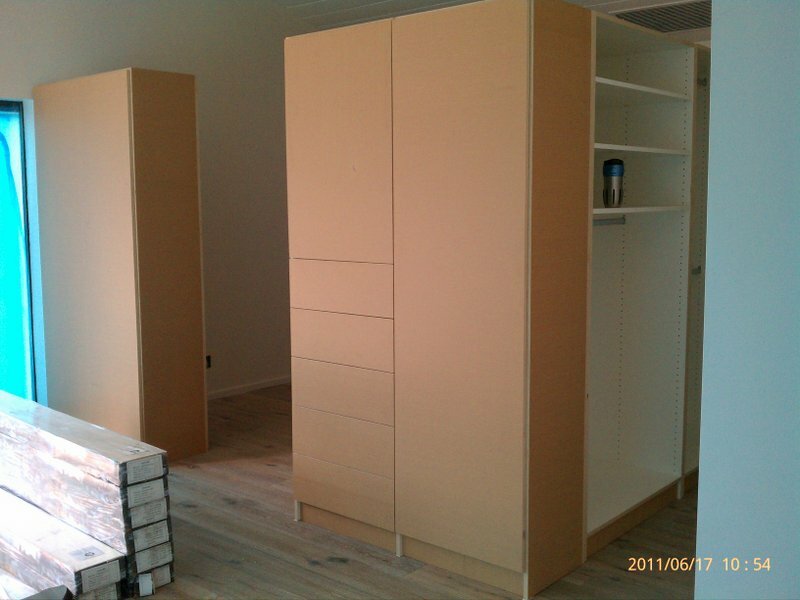 Curtain Rods were mounted to the top to close off the closet interiors.